Archi-Technology LLC welcomes Sal Topino to its team as Operations and Project Manager. 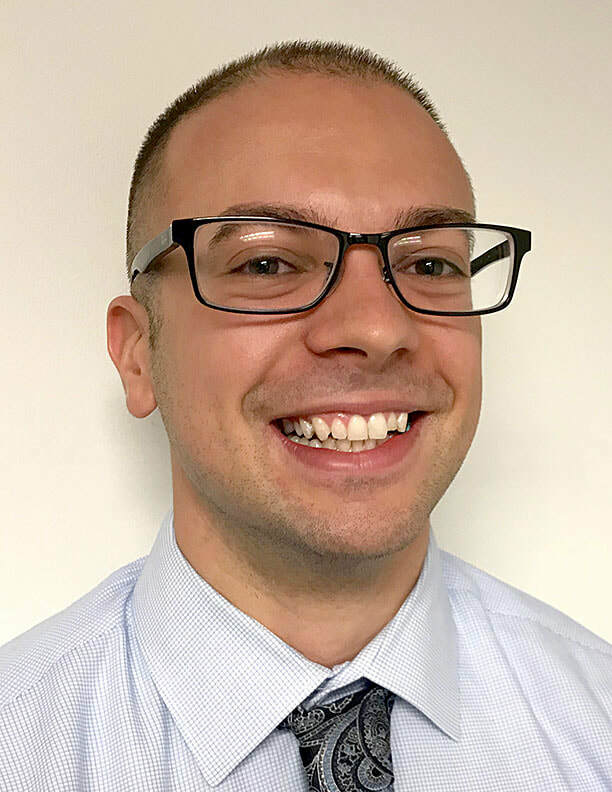 Sal most recently worked at Public Consulting Group in Albany, NY as a Business Analyst where he incorporated data analytics into projects to enhance operational processes and product deliverables to clients. Sal graduated from Le Moyne College with bachelor degrees in Business Analytics, Business Information Systems, and Business Management. On a personal note, he is passionate about fitness, being outdoors, and sports. Please join us in welcoming Sal to the AT team. Is your school district leaving as much as 65% of available NYS funding for Building Conditions Surveys on the table unused? 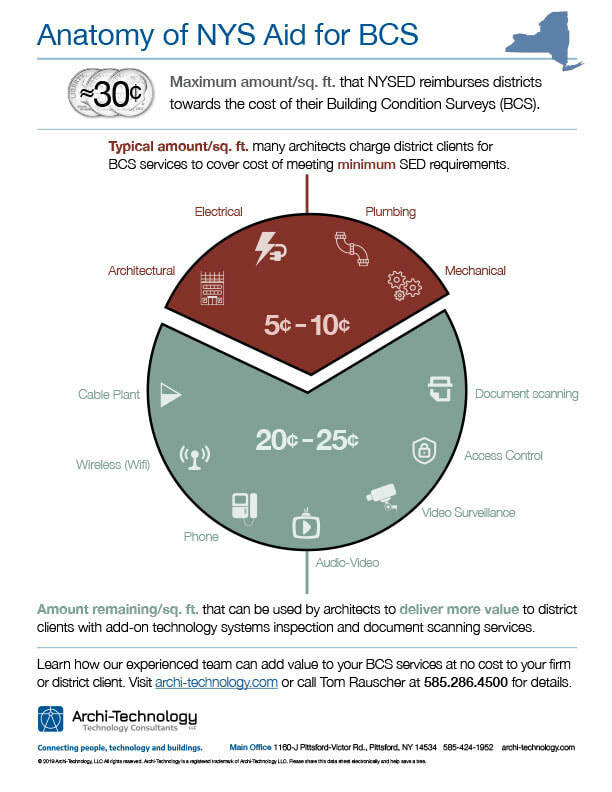 Many architects charge as little as 5¢ – 10¢ per square foot for a traditional BCS. However, NYS provides up to 29¢ a sq. ft. for this survey. Use excess state funding to get an objective look at your technology systems with a Technology Conditions Survey (TCS) from Archi-Technology. ​View the Funding graphic and visit our TCS services page on our website. Archi-Technology was originally brought into the 580,000 sq. 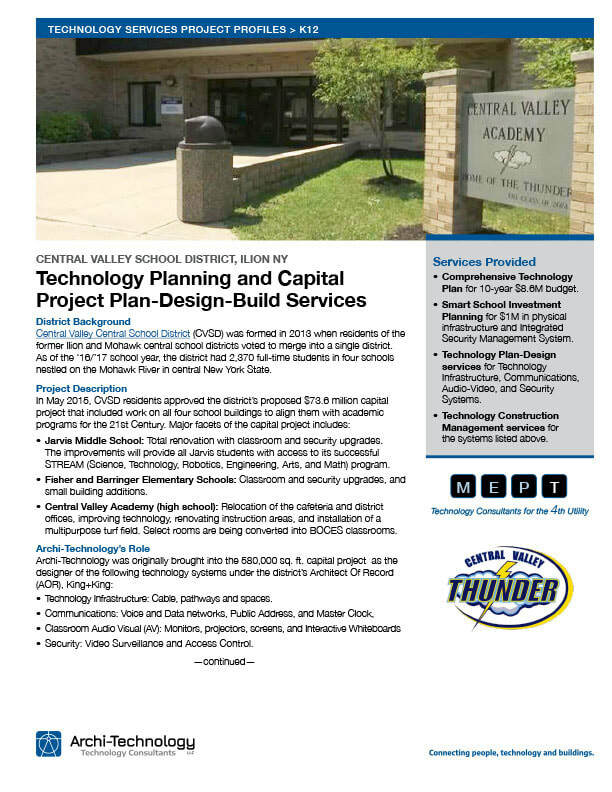 ft. capital project as a designer under the district’s Architect Of Record, King+King for technology Infrastructure , communications, instructional Technology, and ​Security systems design. ​ Technology Construction Management (TCM) services were also used to ensure correct vendor installation and interoperability of these technology systems. ​ Eventually Archi-Technology’s role would expand to become the district’s primary technology consulting firm helping to develop a 10-year Comprehensive Technology Plan, and Smart Schools Investment Plan (SSIP). ​​View the CVSD Project Profile PDF. Established in 1996, we specialize in facility technology infrastructure as well as IP-based building systems such as Communications, AV and Security.